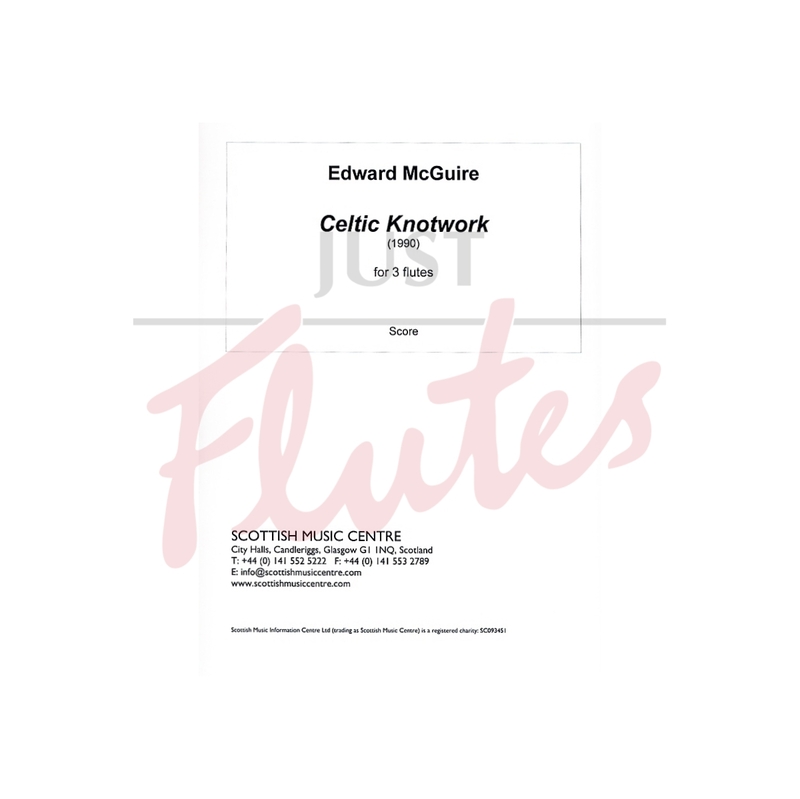 The "knotwork" effect in Edward McGuire's piece can be easily heard by the close interweaving of all three parts. 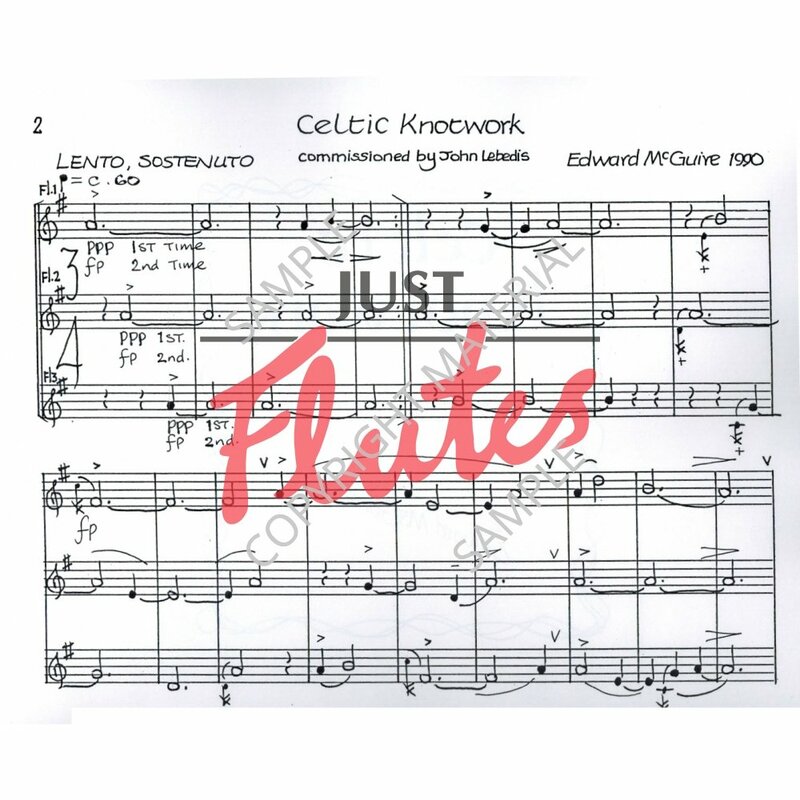 The opening Lento evokes misty mornings with bagpipes in the distance and this is followed by a Slip Jig which is also closely written. The cadenza in canon is really effective and the work ends as it began. 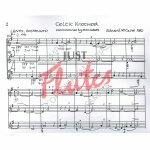 Shame it's only published as a score though, although it is good to be able to see what's going on around you as you play. Celtic Knotwork (1990) writes McGuire "conjures up the graphic skills of an ancient past - but it is the human element that fascinates me, the bringing to life of abstract patterns. The atmosphere of the opening is one of early chant, one contemporary with the development of 'knotwork'. The gradual intertwining of the voices start at a point - unison- and reaches a peak of cascadingd diaogue and dancing phrases before fading to a point, merging into unison one more." "Celtic Knotwork conjures up the graphic skills of an ancient past - but it is the human element that fascinates me, the bringing to life of abstract patterns. The atmosphere of the opening is one of early chant, one contemporary with the development of "knotwork". The gradual intertwining of the voices starts at one point - unison - and reaches a peak of cascading dialogue and dancing phrases before fading to a point, merging into unison once more."